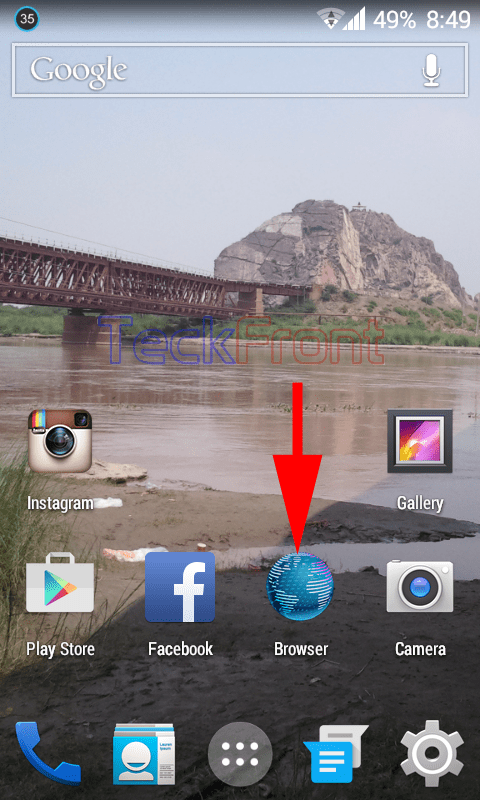 How to Refresh Browser in Android 4.4.x KitKat Device. 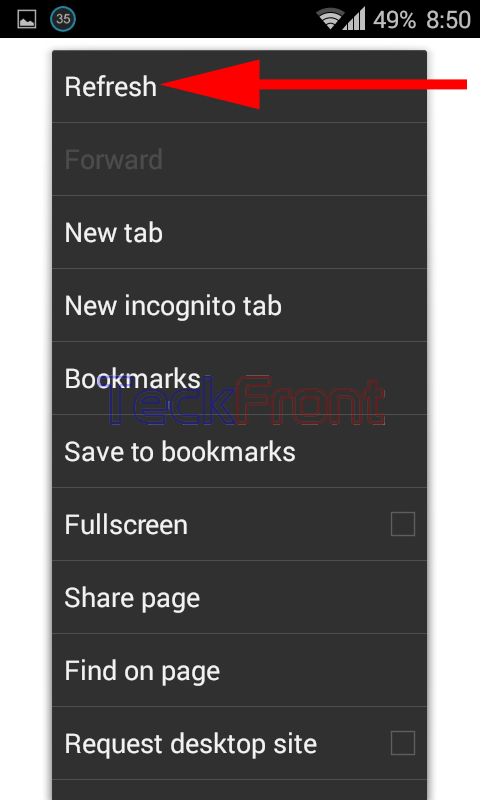 How to Refresh Browser in Android 4.4.x KitKat Device? For the Internet surfers, it become important to refresh browser, frequently, to get rid of currently running sites on the browser so that you may not face the problem to rewrite the URL again and again. It becomes even vital when your browser is held up in bottlenecks due to some of your haphazard actions or mistakes. In this situation, refreshing the browser may clear many bottlenecks and your browser may start behaving normally, quickly and smoothly, after refreshing it. Refreshing the Browser in Android 4.4.x KitKat devices is just a 2 step action if you follow the instructions. 1: Tap the icon of ‘Browser’ to open up the browser in your Android 4.4.x KitKat device. 2: Long Press the MENU BUTTON to open up the vertical operating popup menu. For the purpose, you may either set the MENU BUTTON to ‘Short press’ or Long press’ to open up the ‘Open/close menu’ from the Command Line: Settings > Buttons – DEVICE > MENU BUTTON. 3: Just tap the ‘Refresh’, given at the top of the ‘Open/close menu’. That’s all! Newer How to Block Popups in Browser in Android 4.4.x KitKat Devices?